Has everyone forgotten what happened in the past? In the early ‘70’s Srila Prabhupada started his own ritvik system, surprise! At some point it became too much to chant on everyone’s beads and give the new spiritual names so what to do? He appointed some of his senior men to cover these details so he could go on with his writing and management of a world organization. My wife and I were initiated in 1975 in Los Angeles, Srila Prabhupada had left the day before to go to San Francisco, by this time he deputed his personal secretary and Sanskrit scholar to look up the names; and then he would approve or disapprove. 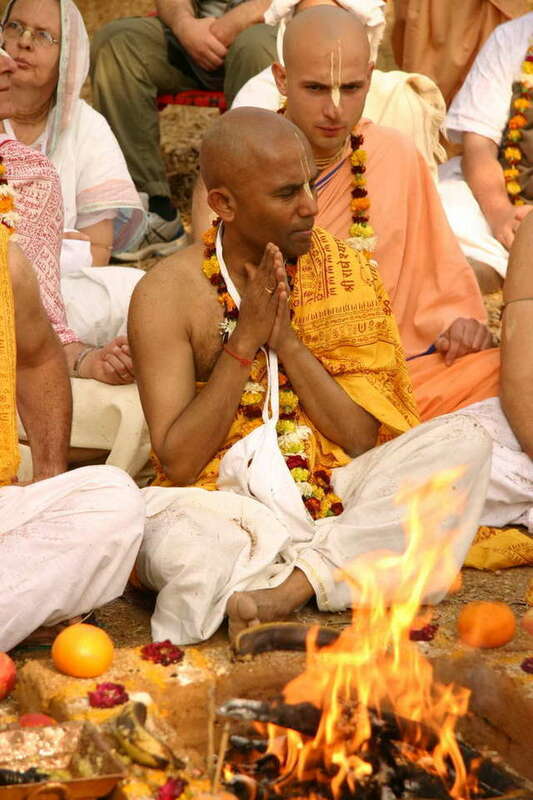 During the fire sacrifice it was Hridayananda Maharaja that was standing next to the Vyasasana and handed out the beads and asked for the four regulative principles. Each time a new name was given there was a loud HARIBOL and everyone applauded.